As a lifetime lover & connoisseur of 19th century Oriental rugs, this has been a very exciting time for me. Over the years, while interest in antique carpets from the Second Golden Age of Persian Weaving (1800 to 1910) has grown steadily, several recent events have spurred interest to record levels. Throughout my 30 years of experience, both as a private collector and president of Claremont Rug Company, I have been thrilled with the increasing appreciation of antique Persian carpets in the art world and the many recent transformations in the market. I look forward to sharing both my love of this incredible art form and my insights into the changing marketplace with you at this particularly exhilarating time. The amount of attention in art and business publications about the artistic quality and emotional impact of art and design from the Near East has reached unprecedented levels in recent years. This is evidenced in the art world, for example, by the opening of significant new exhibitions on Islamic art. Last year, the Metropolitan Museum of Art opened a new permanent exhibition of Islamic art. The Louvre followed, opening a similar exhibit this September. And not so coincidently, San Francisco’s de Young Museum began to display the majestic rug holdings of McCoy Jones for the first time in two decades this past summer. As in the art world, business publications have also taken an increased interest in art from the Near East, particularly in Persian weaving. For example, in 2010, the Wall Street Journal devoted two pages to antique Oriental rugs and in the past three years, the Financial Times of London has published long feature articles about rug collecting. Increasing interest has naturally also brought about increased demand for art-level antique rugs. 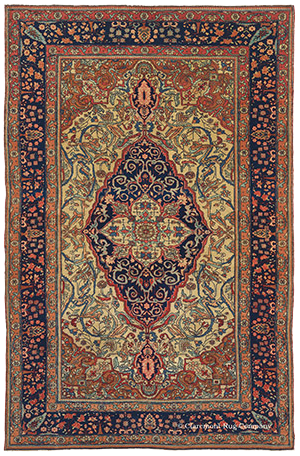 In 2009, an historical Persian rug drew a record auction bid of $9.59 million at Christie’s. With the value of historical rugs having risen so high it stands to reason that art-level 19th century rugs will soon follow. The combination of these events leads me to believe that we are approaching a point of never before seen demand, precipitated by the diminishing availability of great rugs and the intense interest among art and rug collectors to acquire the best of the best. This development comes as no surprise to me, I have been telling clients for more than three decades that the best of the 19th century Oriental carpets comprised a segment of the art market that was dramatically undervalued relative to other major art forms. This market shift is something I have observed in my own business as well. Our last three major acquisitions of private collections have generated unprecedented attention. The intense interest among art collectors in the Hudson River Valley Collection (2009), the International Collection (2010) and the current Bostonian Collection are continuing indicators that antique Oriental and Persian rugs have made indelible marks in the consciousness of the art world.  This confluence of events has not gone unnoticed or unappreciated by our clients either. Recently, a New York art collector and client remarked to me that he was amazed that his entire rug collection was acquired for less than any one of his paintings, many of which were painted by highly sought after artists. Because of the increasing rarity of these treasures, his experience will most likely not be possible for the next generation of art collectors. It is my strong belief, based on these trends, as well as information from our international staff of buyers and my own daily immersion in this market for the past 30 years, that the current generation of antique Persian rug collectors will be the last to have access to a broad selection of pieces with high artistic merit in good floor condition.